as a decoration with the rest of my bells. They bells are beautiful! I ordered 1 Roseann 2018 for my Dad. I ordered 7 Mom 2018 for my 5 brothers and my sister, I ordered 2 Nana 2018 for 2 of my nephews. 10 in all they are in remembrance of my Mom passing in august. Giving as a Christmas gift. Thank You, one happy customer!! Regina Duke. Was born and raised in Oshkosh and still remember our Mother going to the Miles Kimball year-end Christmas Sale, this was more than fifty years ago and still can't believe they are still in business. 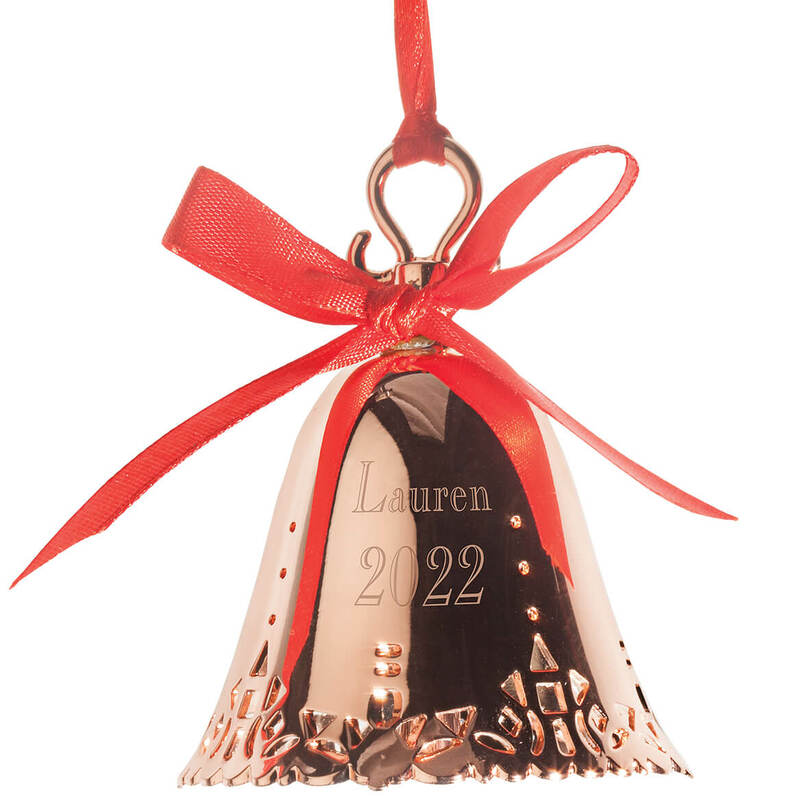 First time buyer too and purchase a gold metal Christmas Bell with our names and date engraved on it, will be purchasing one every year from now on. 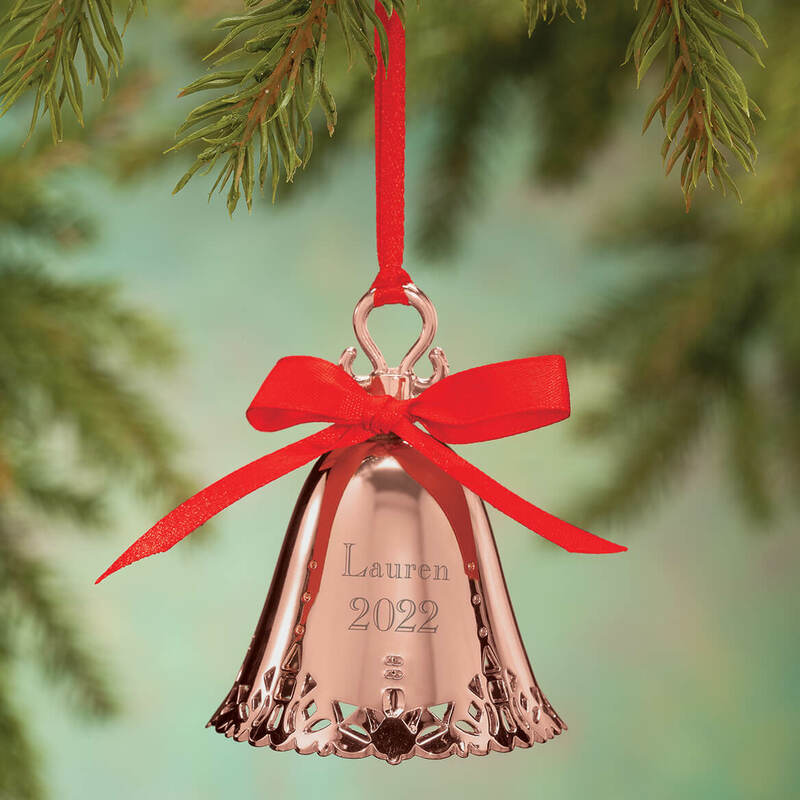 I liked this rose gold bell and it enabled me to personalize with a long name! how do I personalize the bell? I will buy it anyway if I can't, but would like to put the name "Amy" on it? It was different from past years. My daughter loves rose gold; so it was an easy choice for a Christmas momento. Granddaughter's Xmas ornament for this year!